With its recent acquisitions, the combined portfolio and reference lists within FLSmidth now provides its customers with the most extensive options for IPCC systems in the industry, including a full range of fixed, relocatable, semi-mobile and fully mobile crushing and sizing stations that will incorporate the FLSmidth ABON sizer and FLSmidth top service gyratory crushers in both shovel and truck fed stations. It also includes bucket wheel excavators and continuous mining capabilities along with mobile conveying options that include belt wagons, mobile belt bridges and mobile reclaim conveyor technologies. 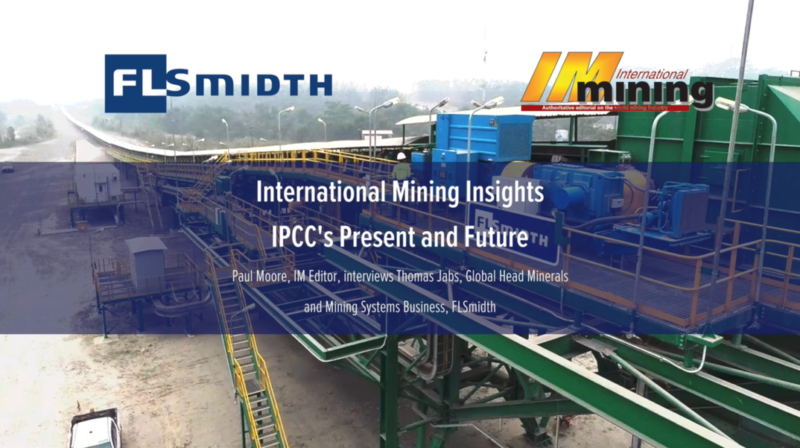 FLSmidth intends to be on the forefront of IPCC systems and technologies going forward with a focus that will allow clients to reduce CAPEX, OPEX and increase throughput in order to increase their productivity.